In perfect symbiosis with French music, the Orchestre Symphonique de Québec, under the direction of Fabien Gabel, offers a program developed under the theme of dance: from waltz to ballet and French cancan. On the menu: Maurice Ravel’s Valses nobles et sentimentales, Francis Poulenc’s Les Biches suite, and Jacques Offenbach’s Gaîté Parisienne in an arrangement by Manuel Rosenthal. Louis Schwizgebel may not be as well-known as other pianists on the international stage, but he leaves an indelible stamp on each masterpiece he performs. This album, dedicated to Camille Saint-Saens, began with a sensational recording of the Piano Concerto No.2 made in 2014 for the BBC. Moved by his performance, the BBC and Aparte decided to join forces to produce, under the same conditions, the Piano Concerto No.5 as a natural pairing to complete this transcendent program. Young Russian-American pianist Natasha Paremski performs two of the most iconic works ever composed for piano and orchestra. The Royal Philharmonic Orchestra is conducted by rising-star French conductor, Fabien Gabel, one of the most sought-after young conductors. Stéphane Tétreault, 19 years old, was the First Prize winner in the Montreal Symphony Orchestra Standard Life-OSM 2007 Competition as well as various others. 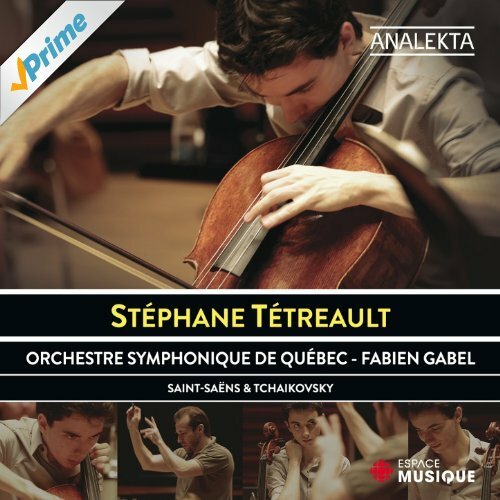 Accompanied by the Orchestre Symphonique de Quebec, he performs Saint-Saens’ Concerto No. 1, Tchaikovsky’s Roccoco Variations coupled with Saint-Saens’ Allegro Passionato and The Swan (from Carnival of the Animals) plus Tchaikovsky’s Pezzo Capriccioso op. 62. Following her two acclaimed recordings of lieder and melodies with piano, Marie Nicole Lemieux presents a full recital recording of beloved French arias accompanied by orchestra. The program, which ranges from the popular to the lesser known, is brought to life by Lemieux's warm and thrilling contralto sound.